Why Are Doctors Running Away from Primary Care Medicine? I am a board certified family physician who transitioned from a career in primary care, where I had worked for many years, to urgent care. I am now employed the equivalent of full time in urgent care. And I have no desire to go back to primary care unless some major changes are made in primary care. I found a much better work-life balance for myself in urgent care compared to primary care. First, let me get my biases right out on the table. I believe strongly in primary care, and I likewise believe primary care should be at the very core of our nation’s healthcare delivery system. I have immense respect for the brave men and women who still work in primary care today, many of whom are my colleagues and friends. We Americans are too fat (or obese, if you want to use the politically correct term), too lazy, and too dependent on pills and medicine in general. We expect too much from our doctors. We expect to look great well into our later years and live practically forever. We think all diseases are to be solved by doctors. We aren’t willing to accept or acknowledge our own part in them. Yes, the lion’s share of our diseases in this country are preventable. But even those that aren’t preventable could be more effectively managed and controlled in a primary care setting. Primary care, with its emphasis on preventive healthcare, is the ticket to better health for the vast majority of us. At one time in our nation’s history, family physicians, pediatricians, and internal medicine generalists (the core of primary care) did pretty well, and patients could get appointments with these doctors fairly easily. First, primary care was eaten alive by managed care, the health insurance industry, and multiple third-party players, including the state and federal government (i.e., Medicare and Medicaid). The overall result of this was decreasing reimbursements for services rendered, which meant that primary care practices had to see a much higher volume of patients per day, per month, and per year just to keep their heads above water. Keep in mind that with so many players and payors in health care, primary care offices had to staff up to keep up with the specific demands of the various so-called payors. And overhead didn’t decrease either. It’s expensive to run a practice — any practice! As expenses rose further, and reimbursements decreased, primary care physicians found that they could only afford to spend 10 or 15 minutes with each patient. Spending more time with each patient may have made sense from a doctor-patient relationship standpoint, or it may have made sense clinically, but it made absolutely no sense economically. It didn’t please the bean counters and those who drank the corporatization of medicine Kool-Aid if docs were spending more than 10 or 15 minutes with each patient. The small Mom-and-Pop primary care practices either had to merge with other independent practices to stay afloat financially (most so they had the bargaining power to negotiate contract terms with large payors) or they had to sell out to large hospital chains who were all too happy to use primary care practices as a referral source to their affiliated sub-specialists who would, in turn, bring patients into their hospitals for multiple expensive procedures, etc. At the same time, patients coming in to see primary care physicians were sicker, more drug addicted, more depressed, less compliant, and in general more difficult to monitor, track, and manage. With much higher volumes of sicker patients to be seen — many of whom had already waited months or weeks to get in — the pressure on these poor primary care physicians mounted. The pressure and the potential legal liability too. It was all a great big prescription for physician “burnout,” a term invented by an industry that would prefer to see a deficit or shortcoming in the physician rather than looking at the healthcare delivery system problems as a whole. Indeed, the term “burnout” should be replaced with the term “abuse.” Primary care physicians are being abused by their employers these days. I have no doubt about this at all. They are expected to see increasing volumes of increasingly sick patients who are far more demanding and less compliant than in years gone by. Primary care is one of the toughest gigs in the world. And if being eaten alive by the corporatization of medicine wasn’t enough, primary care physicians now find themselves having to battle the trend toward consumer-driven health care, which is picking up speed each day and which has contributed mightily to the explosive growth of urgent care centers and telemedicine in this country. Patients are no longer patients. They are now healthcare consumers, or “customers.” And keeping the customer satisfied is what it’s all about these days. Patients want immediate service for acute illness — they don’t want to wait 2 1/2 or 3 weeks to see their primary care physician. Most primary care offices aren’t open nights and on the weekends. This works to the advantage of urgent care centers, but it probably doesn’t work to the clinical advantage of the patient. There has also been a long-standing corresponding trend toward hiring MAs instead of nurses (RNs) in primary care offices (MAs are much less expensive than RNs, even though they offer much less support to the busy primary care physician and have much less clinical knowledge and judgment). And the so-called mid-level providers (NPs and PAs) who were originally supposed to help and support busy primary care physicians are now replacing them. Again, because they are less expensive to hire. 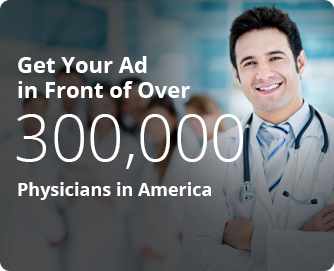 Someone out there is getting rich, but it’s certainly not the primary care physicians. Nearly every salary survey I have seen during the past twenty years places family physicians, pediatricians, and generalist internal medicine doctors at the bottom of the totem pole in terms of salary. So why would any medical student today choose primary care as a specialty? It certainly makes no sense economically. Unless these medical students are masochists who enjoy pain and who enjoy shouldering huge medical school debt (and probably never being able to pay it off), then primary care makes absolutely no sense. 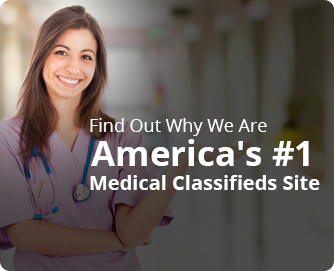 Our primary care physicians are unquestionably overworked and underpaid. 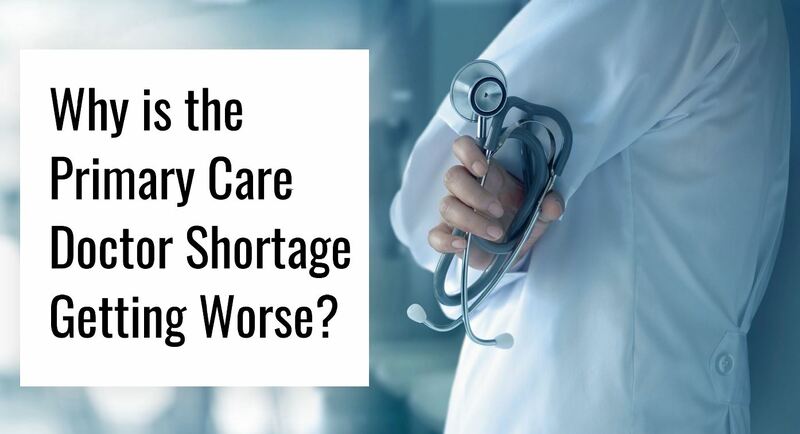 And the shortage of primary care physicians is bound to continue — and worsen. This is not right. It is not right for the health of America. But until all stakeholders in the system come together and work out a viable plan for our nation’s beleaguered primary care physicians, nothing will change. And America will just get fatter, lazier, sicker, more addicted to opioids and other controlled substances—and certainly more depressed. This entry was posted in Doctor Salary, Doctor Shortage, Healthcare Policy, Physician Burnout, Physician Jobs, Physician Reimbursement, Primary Care Physician Reform and tagged Declining Physician Reimbursements, doctor shortage, Doctors Quitting Primary Care Jobs, Family Medicine Salaries, Future for Primary Care Physicians, Healthcare Reform for Primary Care Physicians, Internist Salaries, Low Primary Care Salaries, physician shortage, Primary Care Doctor Shortage, Primary Care Physician Shortage, Primary Care Reform, Primary Care Salary, Rise of Urgent Care Centers and Clinics, We Need More Primary Care Physicians by Drpost. Bookmark the permalink. Thanks for writing this. In short price fixing physicians services by the collective (Medicare officially did this in 1997) has resulted in shortages. I remain in primary care AND in private practice. I had to quit all 3rd party contracts in order to this- including Medicare.